Officially the season is winter. Officially the pastures are paved with dry, yellow grass and the hills with bare limbs. Botany season has begun anyway. No wildflowers are blooming yet. Even tiny corn speedwell is waiting this year. There has been warmer weather, but no moisture. One of the special sights over the winter is the tree bare of leaves so the trunk and branches show. This river birch has so many fine twigs giving it a brushy look. Storms are forecast and touted as bringing rain, sleet, snow and mixtures. They track north of the Ozarks. We stay in the severe drought belt. This week we have hopes. This week the rain, even a scattering of snow has moved through here. There is mud in low places. Green leaves line the road. Dead nettle and chickweed are shaking off their winter survival settings. Pasture grasses are stirring and sending up a few new green shoots. This willow is a small tree. It’s twigs and buds are yellow and hairless. Which willow is it? There are eight to choose from. I will wait to see flowers and leaves. This doesn’t sound like good botany season timing. Nothing is blooming. Things are barely growing. I walked out to look at the willows and plants nearby. River birch catkins are swelling as are black alder catkins. If the weather stays warm enough, the catkins will bloom within two weeks. The willows are a mixed bag. They are shrubs to small trees that like water such as the nearby cold water spring fen. Each year I go out to try to identify the different ones growing there. Each year they defeat me. 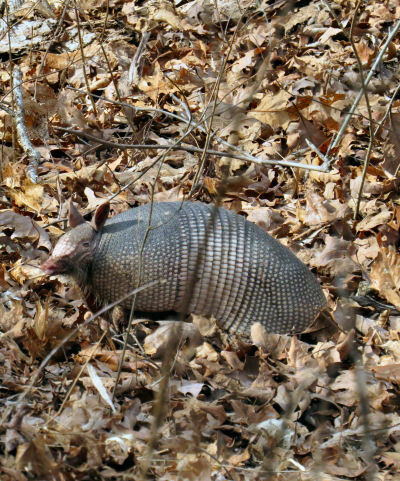 I know there are four or five of the eight species found in Dent County growing there. Willow buds are long and narrow, alternate. This willow has hairy twigs and buds in off white. Other buds are red or yellow or brown. Most have no hairs. This year I am going to identify these willows. A willow has male plants producing catkins and female plants producing seeds. The plants usually appear similar except for the flowers. Some willows bloom before leafing out. Other willows bloom as they leaf out. A few bloom after leafing out. All the leaves are similar, long and narrow with a single strong vein down the center. These willows are only shrubs. They grow thickly in one area making it look red with their twigs and buds. Which willow are these shrubs? Eight possibilities. I will wait. The key to identifying these willows is visiting them several times over the spring. I need to see the flowers and the seeds. I need to see the leaves, bark and twigs. Most importantly I need to keep my records of which willow is which straight. I now have bark, twig and bud pictures of each different willow, I think. Each has its little folder. The first one should bloom about the time the river birch blooms. My botany season has begun. 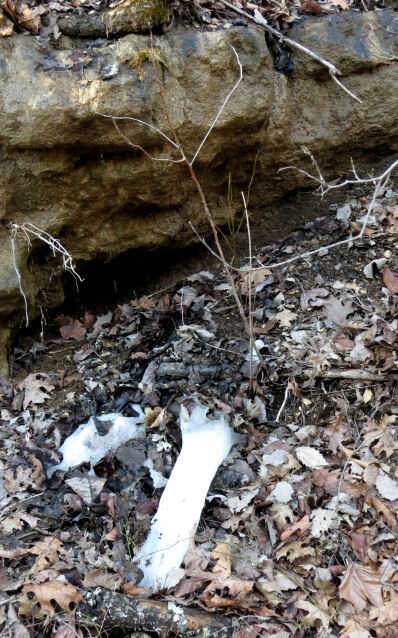 This entry was posted in Ozark Hills and tagged botany, cold water spring, Ozarks, shrubs, trees, willows on February 21, 2018 by [email protected]. When a leaf falls from a tree twig, it leaves behind a bud. These lateral buds are the next spring’s leaves waiting for winter to come and go. A lateral bud lies along the sides of a tree’s twigs. At the end of the twig is a terminal bud. Hickory buds tend to be large. 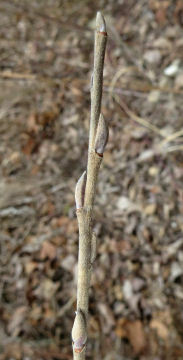 The terminal bud on the end of the twig is much larger than the lateral buds along the side of the twig. Hidden inside a terminal bud is more than a leaf. This bud can grow more twig, more leaves and even flowers. Yes, trees do have flowers. Some flowers are big and showy. These often have their own larger flower buds. Other flowers are small such as the catkins on black walnuts and oaks. Dogwood trees have both flower and leaf buds. The flower buds are big globular terminal buds. Some twigs have slender leaf buds as terminal buds. Other leaf buds are lateral buds. Over the summer the terminal bud is busy growing all these new bits of tree. In the fall the bud covers itself up with hard scales for protection. Pawpaw trees have a slender terminal bud. The larger fuzzy lateral buds are flower buds. The leaf lateral buds are very small and flat against the twig. Bark is one way to identify a tree. Terminal buds are another. The Missouri Department of Conservation does have a thick booklet containing a key to identify trees by their buds. White oak terminal buds are a handful of large buds. A taxonomic key is a list of statements about something. One list was whether a twig had spines or not. If the twig has spines, you go to another numbered set of choices. If there are no spines, you go to a different set of choices. If you make all the right choices, you end up with the name of the tree. Black oak terminal buds have a large central bud with small side buds. I do have this booklet. When I went out looking at bark, I took this booklet with me planning to key out those trees I did not recognize. The first few sets of choices were easy. Then I came to one wanting me to cut off a twig and slice it open. I can do this. I do not want to do this. At barely over five feet tall the only terminal buds I can reach are on saplings or small, very small trees. These trees are trying to survive long enough to become big trees and need all their terminal twigs and buds. My solution was to take pictures of the terminal buds. Once back in the house I could take my time browsing through the two tree guides until I matched the bud to the picture. Oaks and hickories are tree groups with many members that look much alike. The twig key will be very useful telling these apart. A few days of warm weather and the sassafras terminal bud has swollen enough to split its scales apart. There is a time limit for using these terminal buds. Spring weather will wake up these sleepers. Once they swell up and discard their scales I will have to wait until next fall to get out the twig guide again. 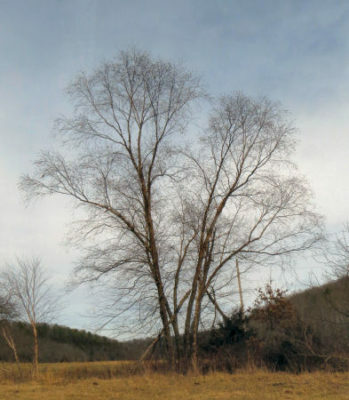 This entry was posted in Ozark Hills and tagged lateral buds, Ozarks, terminal buds, trees, winter on February 17, 2016 by [email protected]. February in the Ozarks is whispering of spring much of the time. The invitation to go walking is compelling. Mostly the trees in winter garb are easy to see. Leaves are the way I identify trees. Obviously most trees in winter have no leaves. So which trees are which? River birch is an easy bark to recognize because it peals off in sheets big enough to make notes on. Trees have bark. If you look at the bark on various trees, it is different. The important living part of a tree is a thin layer called the cambium layer located between the bark and the wood in the trunk. The inner layer of cells called xylem carries water from the roots to the leaves. This becomes wood. Red cedar has long stringy bark. This tree is a conifer and an evergreen. The outer cambium layer is the phloem. This carries sugars from the leaves to the roots. Old phloem cells become bark. As the bark gets thick and dry, it splits then breaks off. The splits become the bark pattern. Black locust thorns make this one tree you don’t want to get too close to. The thorns have a specific shape with a main thorn and small side ones. There must be something about the phloem cells that is different for different kinds of trees as each split pattern is unique for that kind of tree. Tree families such as the oaks and hickories have similar patterns. But each kind of oak is a little different. White oak has flat plates of bark arranged in rough lines down the trunk. It is a light colored bark. Any excuse is a good excuse for going out walking on nicer Ozark winter days. First I tackle the easy trees. These are ones I know because I have identified them during the growing season. This builds confidence. There are different groups of oaks. Even though this black oak is in a different group from the white oak and the bark has rougher ridges, their basic pattern is similar. 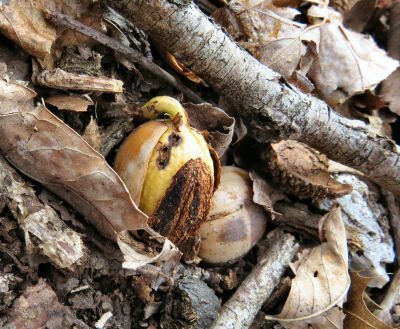 Persimmon, redbud, red cedar, pawpaw and black walnut are identified. Hickory is harder. I know where to find some. But which hickory are they? I’m not sure. However some hackberries are close by. This is a really easy tree because of the tall ridges in the bark. Hackberry tree bark has high narrow ridges with red in the furrows between them. Then I am stymied. 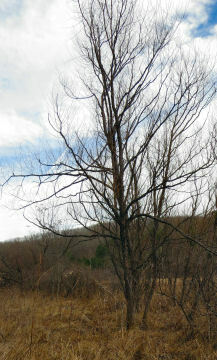 There are several slender trees near a redbud growing over the creek. I used this spot for some Outside Projects. There is an easy solution even if it will take time. I can wait until spring is more than in the air. Then these trees will leaf out. Black walnut bark does look dark gray and has furrows and ridges that intertwine. In the meantime I can check out as many bark patterns as I can on my Ozark trees in winter. This entry was posted in Ozark Hills and tagged Ozarks, phloem, tree bark, trees, xylem on February 10, 2016 by [email protected].